The issue of climate change caused by human generation of greenhouse gases first reached the agenda of the federal government in the mid-1970s, followed by numerous efforts to establish an international treaty. Many of these early efforts have failed, leading to steady increase in greenhouse gas emissions from the United States ond most developed and emerging nations around the world. At the same time, a wide range of American state and local governments have worked uniliterally to devise policies to attempt to reduce their own emissions. In turn, the Obama Administration has indicated that this issue will be a priority. Consequently, the time is right for a serious exploration of the capacity of American governmental institutions to enact and implement viable climate policies, as the U.S. prepares to assume a new role on the world's stage. This seminar will consider a substantial body of literature drawn largely from the fields of political science, law, history, and public management in confronting the challenge of "governing the climate." Students will have full access to all papers and data bases (including public opinion data) from the December 2008 National Conference on Climate Governace, which Professor Rabe organized at the University of Virginia and is now turning into a book due for publication in early 2010 by Brookings Institution Press. After an extended review of the evolution of climate policy and important analyses conducted to date, students will develop significant research papers with the opportunity to consider a wide range of possible topics related to either the mitigation of or adaptation to climate change. 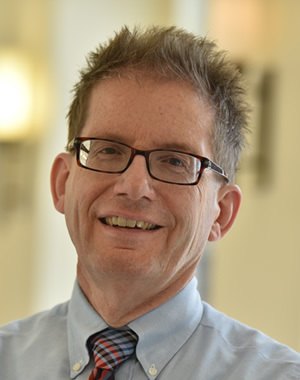 Instructor Bio: Barry Rabe is a Professor of Public Policy in the Ford School and also holds appointments in the School of Natural Resources and Environment and the Program in the Environment. He is a non-resident senior fellow in the Governance Studies Program at the Brookings Institution. Much of his recent research examines state and regional development of policies to reduce greenhouse gases, which has been conducted in collaboration with the Brookings Institution and the Pew Center on Global Climate Change. In 2006, Rabe became the first social scientist to receive a Climate Protection Award from the U.S. Environmental Protection Agency in recognition of his contribution to both scholarship and policy making. Recent publications include a 2004 Brookings book, Statehouse and Greenhouse: The Evolving Politics of American Climate Change Policy, which received the 2005 Lynton Keith Caldwell Award from the American Political Science Association in recognition of the best book published on environmental politics and policy in the past three years. Rabe has also written extensively about such topics as nuclear and hazardous waste management, cross-border and cross-media transfer of pollutants in federal regulatory systems, and the conditions necessary to achieve intergovernmental cooperation in the implementation of federal grant and regulatory programs. During the 2008-09 year, he will be a visiting professor at the Miller Center of Public Affairs at the University of Virginia, where he will help organize a National Conference on Climate Governance and a series of subsequent publications. In 2004, he completed a ten-year term as editor of the American Governance and Public Policy book series for Georgetown University Press. In 2004-05, he served as president of the Public Policy Section of the American Political Science Association. At Michigan, he previously served as Director of the Program in the Environment and an Interim Dean of the School of Natural Resources and Environment. In 2007, he received the Daniel Elazar Award for Career Contribution to the Study of Federalism from the American Political Science Association.